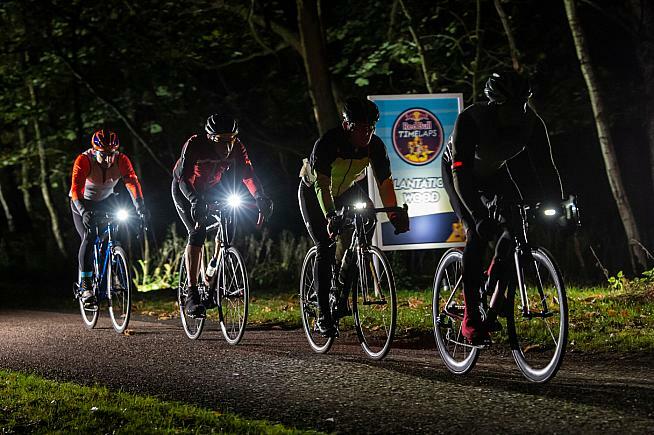 The clocks turned back on Sunday, granting most of us an extra hour in bed - but for the 800 riders taking part in Red Bull Timelaps, it meant another hour in the saddle on the world's longest one-day bike race. 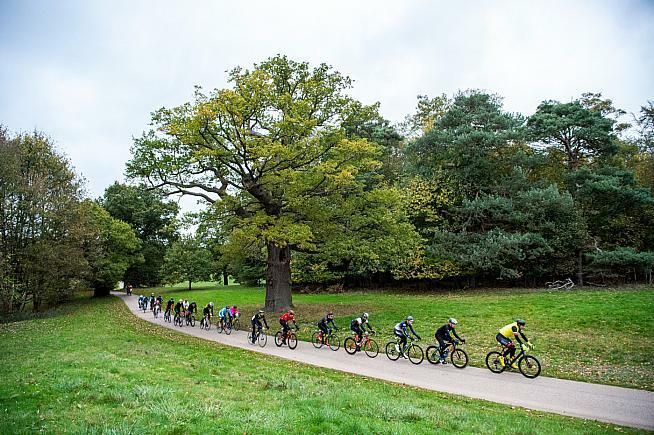 Returning for another year to Windsor Great Park, Red Bull Timelaps saw 200 teams, each made up of four riders, again push themselves to their physical and mental limits by tackling the 6.6km closed circuit for 25 punishing hours. As the temperatures dropped overnight, there was extra emphasis on the time period between 2am and 3am when the clocks go back. The fittingly named 'Power Hour' saw teams bring tactics into play, with the stronger riders kept fresh to take full advantage of a new shortened course in which laps over the 60 minutes counted double. 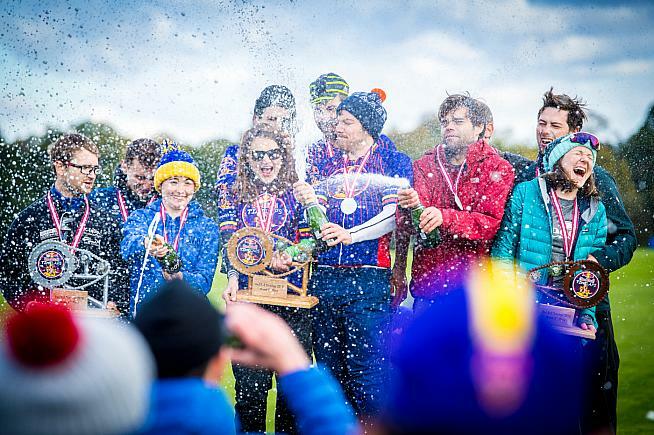 Team VeloElite U25 from Northamptonshire, who were overall winners in 2017 under the name Wellingborough Cycles, were once again crowned champions of Red Bull Timelaps. They finished with an astonishing 146 laps after 25 hours of racing. A strong Power Hour ride from team member Jordan Peacock saw him rack up eight laps, which proved critical to wrapping up the win. The team was comprised of Jack Patmore, James Woodfield, Jordan Peacock and Ollie Bates. The podiums were completed by Velo Elite and Team Walrus. Jack Patmore, member of the victorious VeloElite U25 in the men's category said: "It was definitely tough, absolutely freezing and the wind really picked up throughout the night. The weather this year really added in an extra factor to what is an already very hard event. "This year we had a second Velo Elite team which helped with tactics as we could pair up out on course. With two hours to go, we attacked and left everyone behind." Specialized Women's team were the overall winners in the female race, they dominated the field early on and won with 118 laps, two more than Spokes BPC Racing who finished in 2nd place. It was Specialized Women's team first time at the event and they completed six Power Hour laps, with the fastest time of 7:43. Rebecca Hair from Specialized Women's team, winner of the women's category, said: "We found we were leading half-way through, we dropped off a little bit but clawed it back. I just did the last lap and I'm in bits. Nat, who is our strongest rider, smashed the Power Hour which really helped us." The mixed race was won by The 5th Floor team, who clocked 135 laps and eight during the Power Hour. 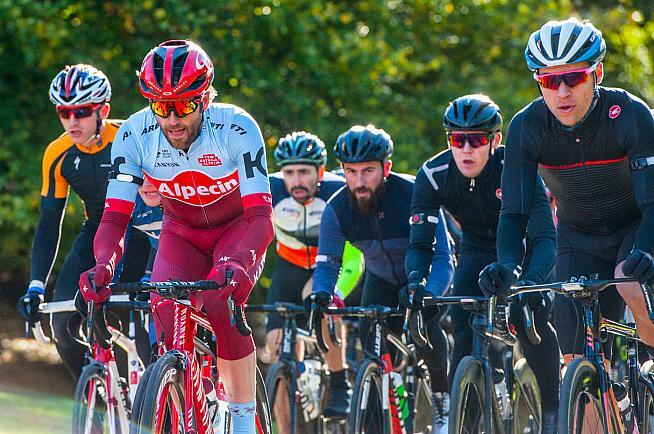 The team comprised of Tom Griffiths, Javier Romartinez, Jack Driver and Emma Bentley, finished ahead of Velo-ciraptors who finished the race with 132 laps. Tom Griffiths from The 5th Floor team commented: "It was long and chilly, but we all stuck together and pushed through. It's the first time we have all worked together as a team, so we're really proud. Our club won the women's race, so next year we need to win the men's and we have a clean sweep." Also taking part was Team Katusha-Alpecin rider and time trial specialist Alex Dowsett. Dowsett (perhaps unsurprisingly) completed the fastest lap time of 8:42:03. "It's the hardest amount of fun you can have on a bike," commented Dowsett. "It was a lot of fun, but really tough at times. "This is more than just racing, the community, a whole other world of cycling that I don't get to be a part of that often, so I've really enjoyed being down here." 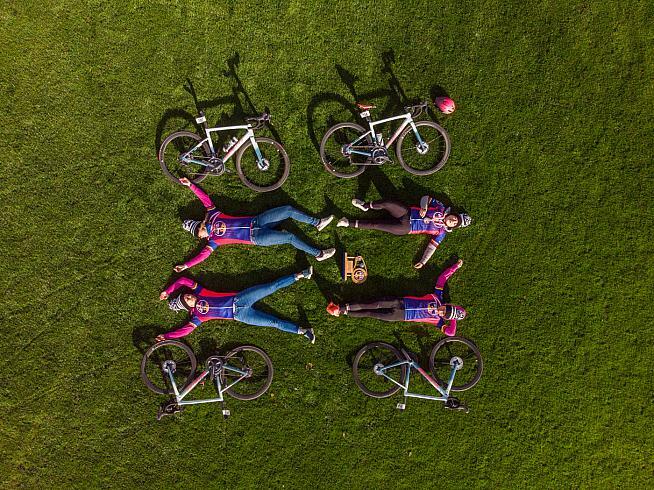 For more information on Red Bull Timelaps including a full list of results, visit uk.redbull.com/timelaps.